Analgesics and anesthetic drugs got you anxious? Join us for a complimentary, 2-hour, RACE-approved VETgirl & Zoetis online veterinary continuing education webinar, where Dr. Garret Pachtinger, VMD, DACVECC reviews the approach to sedation and analgesia for the sick, small animal patient. After all, veterinarians are constantly faced with clinical challenges with the goal of solving diagnostic dilemmas, reducing morbidity and mortality, and ultimately restoring patient health. One of the most challenging issues we face is determining the best sedation and/or analgesic protocol for the critically ill or emergent small animal patient. Choosing the correct analgesic therapy requires an understanding of both the pharmacokinetics of a wide range of drugs as well as the levels or type of pain associated with various conditions. Thanks to Zoetis, this VETgirl CE webinar was delivered live, FREE! could this be run on another day as well? Hi there – this webinar is being delivered live, free. Following the live webinar, the recording will be placed in the VETGirl library. 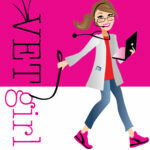 VETGirl ELITE members have access to our library of content 24/7/365 so you can learn on YOUR time! Can vet techs join in? SO SAD I MISSED THIS!!! I can’t afford the membership at this time! boo! Hope it was a great webinar!